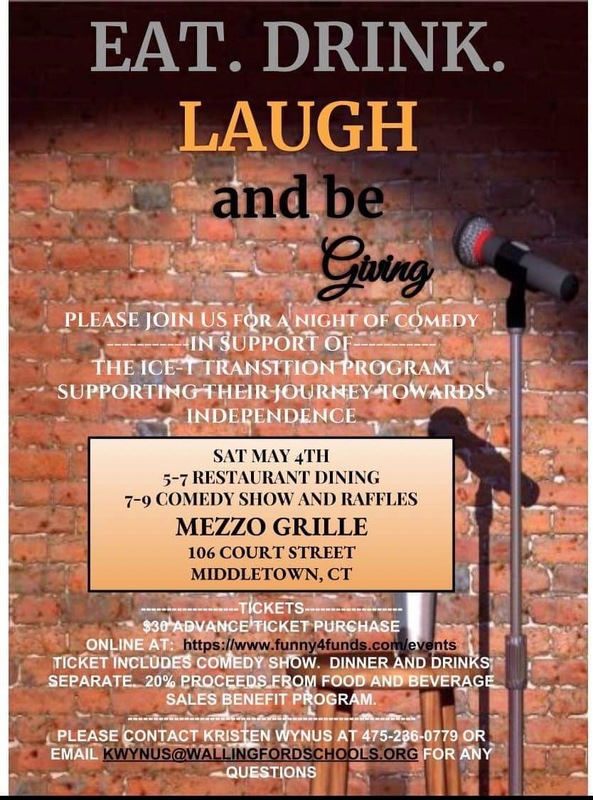 Join us for a night of comedy in support of the Ice-T transition fund. $30 for dinner and a show. 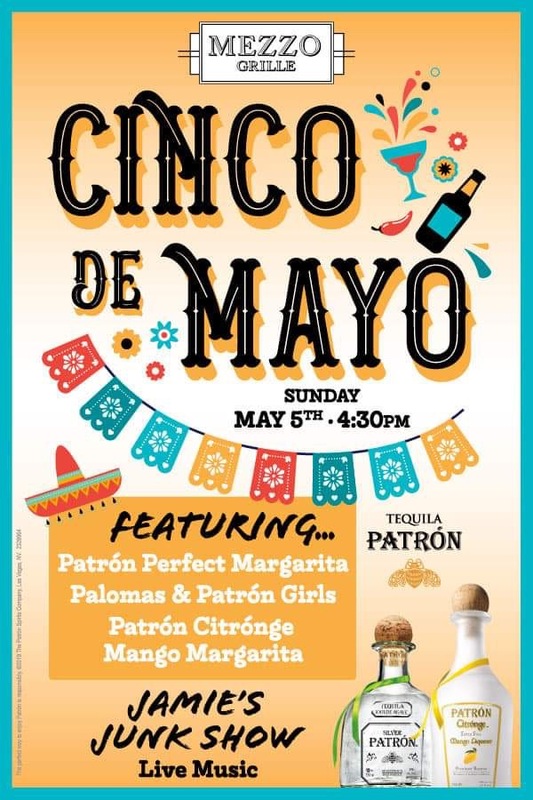 Margarita specials, Patron on premise, and Jamie’s Junk Show helping us celebrate! 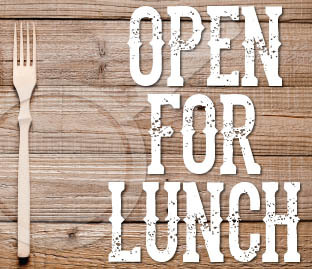 We are now OPEN FOR LUNCH! 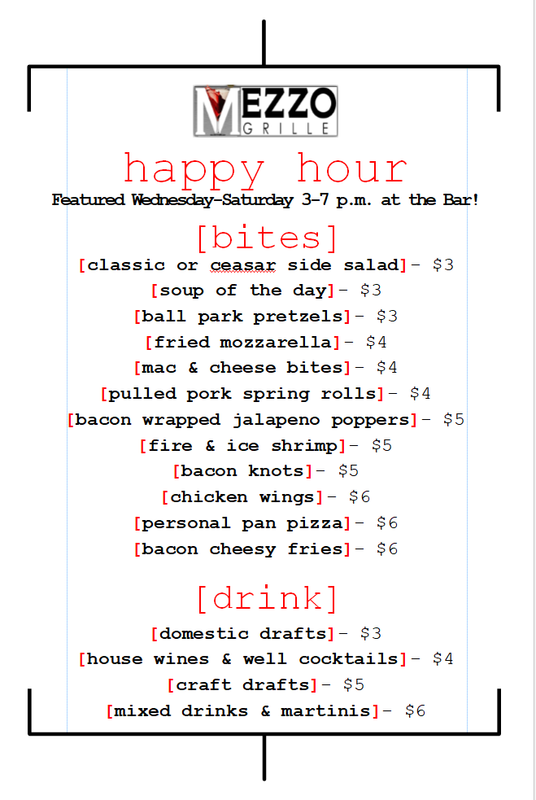 Wednesday-Saturday stop by and try our 8 min lunch options, or grab a quick slice and a soda for only $6! Every Wednesday enjoy choice Prime Rib with grilled asparagus and a bakes potato for only $14.99! Pair it with your favorite bottle of wine at 1/2 off! 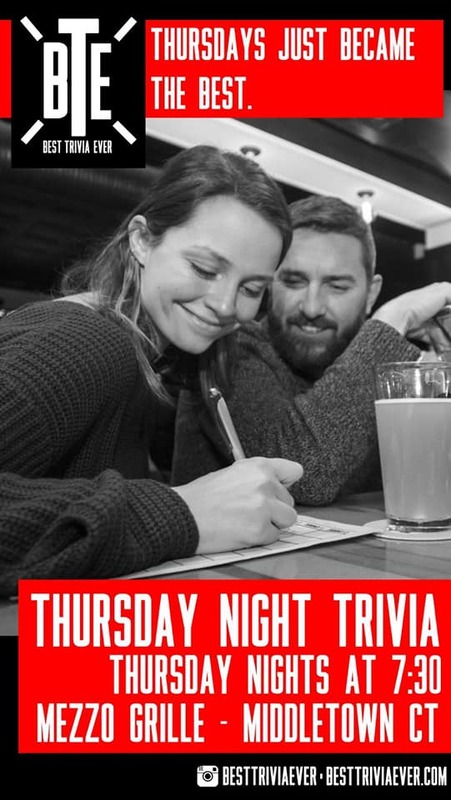 Pints & Pizza Thursdays at Mezzo Grille. 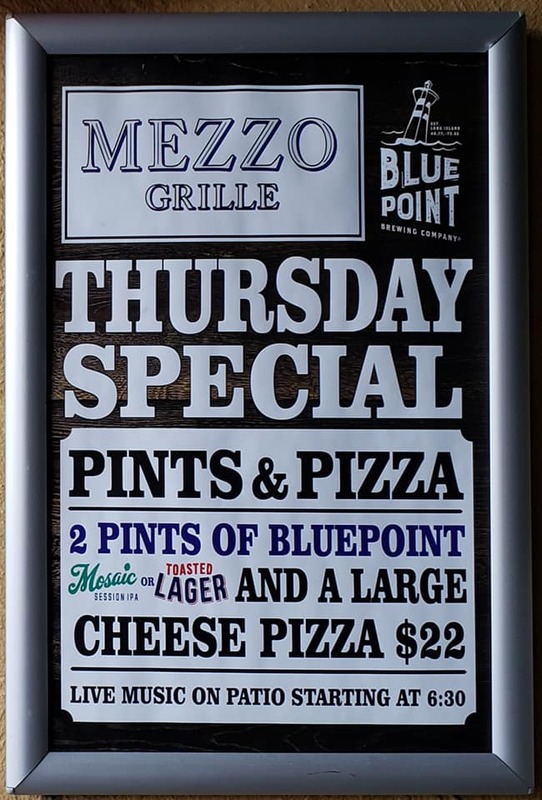 2 Pints of Blue Point and a Large Cheese pizza for only $22! With the addition of a brand new pizza oven, we are now offering gourmet pizzas, grinders, wraps, all in addition to our existing farm fresh products. Ask us about booking our event room (no rental fee) Reserve our upstairs room. Inquire within or call us at (860) 346-6000. 4,000 square foot Key West style patio bar & dining area. 40 seat Tiki bar, dine and relax while enjoying LIVE MUSIC Fridays, Saturday & Sundays early 6PM-10PM during the season. Happy Hour Music 5PM on Fridays. Fun 40 seat Tiki bar right in the middle of CT, fantastic outside area for cocktails and music – Spring, Summer or Fall! 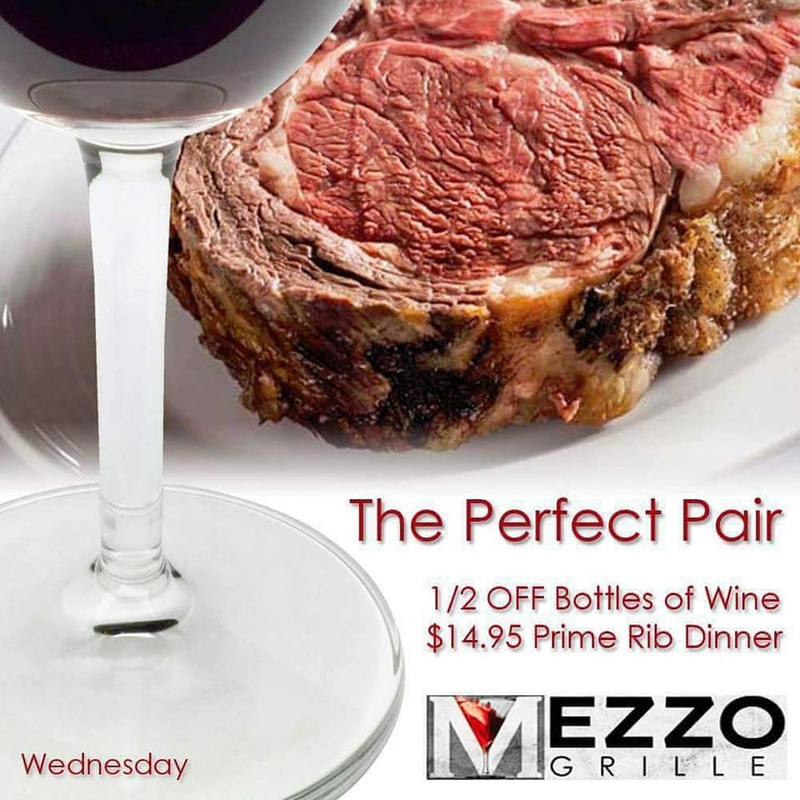 Sign-up to keep in touch about events and specials at Mezzo Grille.